The team of Casa Perfecta Inc. brings 15+ years of experience in Interior Design and Project Management. We service clients across the GTA. The company was founded by Karen Birer in 2005 and has grown over the years through many happy client referrals. Prior to starting Casa Perfecta, Karen was a Fashion Buyer for 14 years and always loved the world of design. She decided that she wanted to pursue her love for Interior Design and hence Casa Perfecta was born. Amy Sheridan is a graduate of the Interior Design program at Ryerson University and had been working independently in residential design and project management. She took a break to raise a family but maintained her love of design and this past year joined forces with Karen at Casa Perfecta. Ambience Design Group is an award winning design firm providing interior design and decorating for residential and commercial projects. As award winning designers, our philosophy is to create spaces that evoke atmosphere and improve living. We consider sustainability, accessibility and wellness in everything we do. We look at things holistically, how the whole person is affected by our designs. 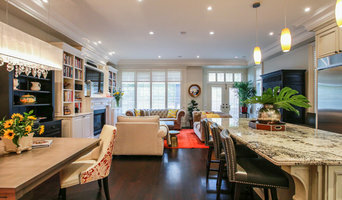 Find out how design can improve your life through Ambience Living Spaces: <a rel="nofollow" target="_blank" href="http://ambience.ca/ambience-living-spaces/">http://ambience.ca/ambience-living-spaces/</a> Our business was born out of the love of art and design. Josie Abate, Founder of Ambience Design Group, was inspired at a young age by her father, Antonio Guglielmino, a talented artist and glass sculptor in Italy, then Malta and finally Canada. By watching him, she honed her own artistic gift and pursued her dreams. 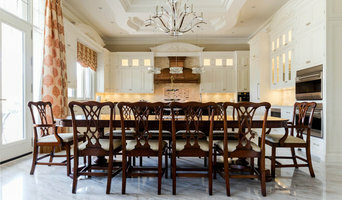 While raising a young family she developed her interior design business beginning in 1987. With much dedication and perseverance the company has grown into an established, multidisciplinary design firm, continuing to work on many exciting projects along the way. With the addition of her daughter, Sara Abate Rezvanifar in 2012, Ambience Interiors evolved into Ambience Design Group, which now incorporates branding design to enhance their creative service offering. This welcome addition has provided our clients with collaborative and comprehensive design solutions. Their newest offerings are the Ambience Design Starter Kits: <a rel="nofollow" target="_blank" href="http://ambience.ca/shop/">http://ambience.ca/shop/</a> and the Ambience Furniture + Decor Shop: <a rel="nofollow" target="_blank" href="https://shop.ambience.ca/">https://shop.ambience.ca/</a>, created with the intention of making good design available to all. Our designer studio will provide inspiration for your new build, renovation or branding project. Offering an extensive line of designer products from suppliers near and far, we remain current with the latest trends in a wide range of materials and finishes. We hope you will find inspiration and comfort in our design studio where we’ll create a space you’ll thrive in and a brand that gets noticed. d3 interiors is a full-service firm specializing in Residential and Commercial Interior Design within the Greater Toronto Area. Contact us today to setup your complimentary 1-hr consultation. www. d3interiors.ca | info@d3interiors.ca | Follow D3 Interiors on Facebook and @d3interiorsSD on Twitter! 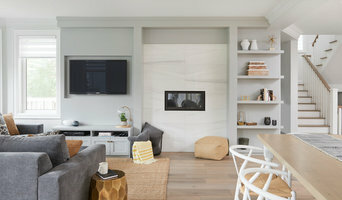 Markham Turn-Key Interior Design Build Professionals Best of Houzz 3x! Fueled by their passion to create, the team at Endless Ideas can help you achieve your dream space – either by shopping in-store, or enlisting them in our comprehensive design service, where they will hand pick the ideal pieces to suit your home and lifestyle. Endless Ideas Interiors is one of the Durham Region’s favourite shopping destinations. With humble beginnings as a home-based design business in 1999, Marissa Graham made the leap to the retail world in 2005 with the opening of Endless Ideas Interiors. Located in the Grass House in historic Downtown Brooklin, this unique store is home to furnishings, accessories, area rugs, lighting and more, and is also proud to be an exclusive Sid Dickens dealer as well as one of the region’s best sources of Lampe Berger. Greco Interiors offers interior design, décor and project management services for residential home improvements in the Greater Toronto Area. Realizing the potential of your space, and achieving aesthetic that considers structure, flow, texture and material can be overwhelming. Where to start? Greco Interiors offers professional interior design, décor and project management services for residential homes. With a Bachelor of Applied Arts, Masters in Project Management and multi award-winning achievements as a Project Management Professional, Roseann Greco returned to school to pursue her passion in interior design and graduated with a certificate from the Ryerson School of Interior Design. Clients can feel confident in maximizing the investment in their homes as they enjoy functional and serene living. Greco Interiors works with well-respected professionals including architects, engineers, contractors, and reliable trades to support client projects to ensure appropriate resources are leveraged to achieve the following services: ♣Design concept & space planning, ♣Bathroom and kitchen design and material selections; ♣Custom millwork, ♣Sourcing (e.g. 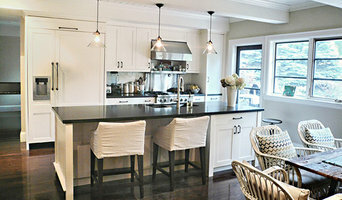 décor, furniture, lighting); ♣Styling to finish the space; ♣Project & budget management. I love what I do. When you’re ready to get started, I would love to lead you through the process of realizing the potential, making your home a place you can be comfortable and proud to enjoy with your family and friends. Simcoe County's Expert Full Service Design Firm | Best of Houzz 2017! Douglas Design Studio has been recognized with several Awards from ARIDO (Association of Registered Interior Designers of Ontario) as well as several awards from the International Design and Architecture Awards in London, England. The company has been featured in publications such as Interior Design Magazine, Design New York, Style at Home and Canadian House & Home. Often, interior designers are asked to explain their signature style. In fact, Douglas Design Studio was established in 1995 by Jeffrey Douglas to focus on creating interiors that perfectly express the homeowner's own style. We believe that, whether casual or formal, elegant or edgy, your home's interior must reflect who you are and how you live. We like to think of ourselves as lifestyle interpreters, and we're both passionate and highly organized about that role. Along with infinite creativity, we bring both energy and order to your project. The result is an interior that is both comfortable and beautiful, filled with personal mementos, family pictures, treasured accessories and furniture pieces. Our team of professional designers and technologists is also committed to making the process of achieving your ideal living environment a relaxed, enjoyable, and memorable experience. We're easy to talk to and we listen to what you have to say. GTA Boutique Interior Design Firm - 1x Best of Houzz Winner! 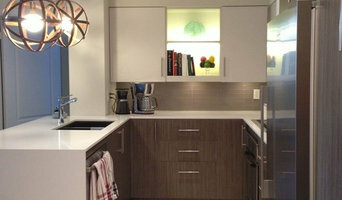 Design Nexus Interiors is a GTA based firm catering to both the residential and commercial markets. For over 15 years principal designer Suzette Benoit has thoroughly enjoyed bringing the art of high design to her clients. Whether it involves trending new designs, alongside finds from yesteryear, or unique original artwork, Suzette will present a luxurious solution working within the budget provided. Also offering this unique service catering to seniors and individuals with mobility restrictions or special needs. At Linda Mazur Design Group we offer a fresh approach to design with a focus on timeless style and optimal functionality. Our ability to work closely with our clients along with our team of skilled trades, craftsmen and architects allows us to create custom interiors and exteriors, reflecting both individuality and exceptional quality. Whether your project is large or small, your home is treated with the same respect we would expect in our own. Linda Mazur Design Group takes pride in our expertise in delivering high-end classic designs while still maintaining a comfortable and relaxed feel in your home. We look forward to working with you to develop a plan that will make your vision a reality. At Erin Interiors, we hold value in creating designs that are both beautiful and functional. Our thoughtfully designed spaces are curated with comfort in mind and perfectly blend your lifestyle with your home.